Note: The following information is based on research being conducted by the theater owners. We have pored through old newspapers, photo collections and Boxoffice Magazines. If you see a discrepancy or know of additional information, we would love to hear from you!! Note #2: My links to some of the old photos got a little messed up when we switched over to our new website, so I've deleted all the photos from this page. When I get some time, I'll get them back up here. The Rust Opera house existed in the late 1800’s and was located near where U.S. Bank is located today. It was owned by Henry Rust, and was located next door to Rust's Pacific Brewery. It was destroyed by fire in 1898. The Grand Theater was another motion picture house located on Main Street in the present location of the Corner Brick restaurant. The Clarick Theatre, also known as the Baker Opera House, was built in 1901. It was owned by K.L. & Jack F. Burk by 1925, the year they remodeled it and renamed it the "Clarick." In the summer of 1928 it was purchased by Frank & Myrtle Buckmiller who moved here from Seattle to run the theater. Myrtle was an accomplished organist and pianist, an expert at silent film interpretation and composition. After the advent of films with sound, she still played music at the theater, often accompanying Franks vocals to sell-out crowds. Myrtle, along with her husband Frank and her son, Freeman Geddes, operated the Baker Theatres, Co., which owned the Clarick, the Empire and the Orpheum, all on Main Street in Baker City. The Clarick Theatre caught fire during the night and was completely destroyed by fire in the early morning hours of November 12, 1937. The Buckmillers were not completely out of luck, however, as they had their other theaters to keep them busy. The Orpheum Theater operated in the former location of Marilyn’s Music, between the Lone Pine Cafe and Betty's books. The Empire was located in the building that is next to what is now the US Bank parking lot. After the Clarick burned in 1937, Myrtle was determined to build another theater to replace it. Almost immediately, she started working on plans. She hired a prominent architect from Vancouver, WA, Day Walter Hilborn, to design her new theater. Hilborn designed many theaters in the Pacific Northwest, including the Cameo Theatre in Newberg, which bears significant resemblance to the Eltrym. The original plans showed their intention to build rental spaces on the side of the theater facing Valley Avenue. These plans also show their intention to name the theater the "Times" Theatre. 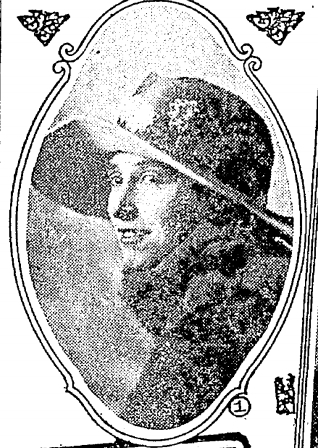 On the night of January 3, 1940 Myrtle Buckmiller passed away in Portland. She must have known she was sick as newspaper reports indicate her plans to enter a hospital in Portland. Several representatives of major motion picture studios attended her funeral in Baker City and acted as pall bearers and honorary pall bearers. Progress on the new theater continued. A January 10th newspaper article reveals that the building contract was awarded to A. Ritchie & Co., local contractors. The cost to build the theater was estimated at $70,000. The Times Theatre opened in Baker City on June 27, 1940 bearing a new name, Eltrym, in honor of the late Myrtle Buckmiller. The opening of the Eltrym Theater was a grand affair. Mark Cory, an RKO representative from Portland, formally opened the theater. A friend of the Buckmillers, he paid tribute to Myrtle. Hundreds of telegrams were sent wishing the theater well, including one from Bob Hope & Paulette Goddard whose film “Ghost Breakers” was premiered in Oregon at the Eltrym that night. Other wires were received from Bing Crosby, Jimmy Cagney, Pat O’Brien, Claudette Colbert, Penny Singleton, Arthur Lake, Melvin Douglas, Cary Grant, Rita Hayworth and others. The first tickets sold at the Eltrym Theater cost 35 cents, unless you wanted to sit in the loges, which cost 40 cents. The course of events after Myrtle’s passing indicate that Myrtle was really the heart and soul of the family theater business. Baker Theaters, Co. operated successfully for a few years without her. But in 1943 the Orpheum Theater was destroyed by fire. The property was sold to Western Amusements, which rebuilt the theater and opened it in 1948 as the Baker Theater. At this time G.P. Lilley owned the property and it was managed by Gamble Interests of Portland. In 1950 Baker Theatres, Co. sold its other two theaters, the Eltrym and the Empire to Western Amusements, headed by Ted Jones of Portland. The Empire Theatre closed sometime in the 1950’s. Around the same time, the Old Trail Drive-In opened on Hwy 30. In 1963 the Eltrym was remodeled. By this time the theater was being managed by James Byars, a long-time manager of the theater. The ticket booth in the center of the lobby was removed and replaced by the aluminum and glass front doors in place today. A ticket window was installed to one side of the lobby, as it is today. They also expanded the lobby by moving the water fountain from the center of the lobby to the left side, and then removing a wall to build a concession stand back into the first few rows of seating in the theater. In 1997 the theater was purchased by Rudyard & Forest Coltman, who updated the theater by upgrading from changeover projectors with mono sound, to a more modern platter system with digital surround sound. In 1998 they remodeled the theater from a single screen to a tri-plex, and by 2003 all theaters were equipped with stadium seating. Rudyard Coltman relocated to the Portland area and in 2005, opening a luxury cinema called Cinetopia in Vancouver, Washington. Dan & Teresa (Terry) McQuisten purchased the theater in 2008, and continue to make improvements as time and funding allow.